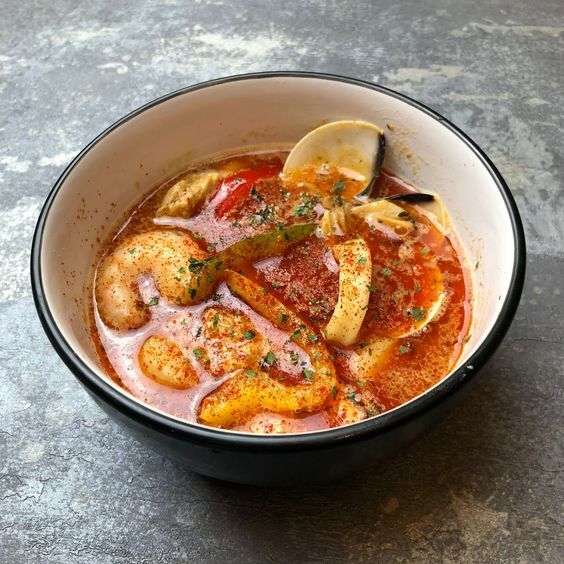 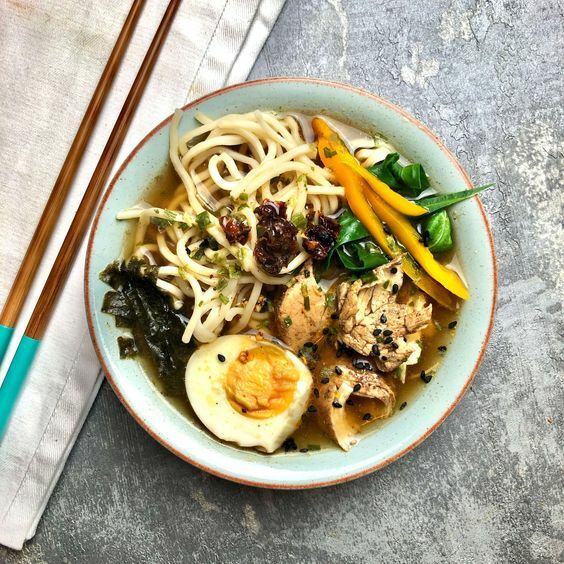 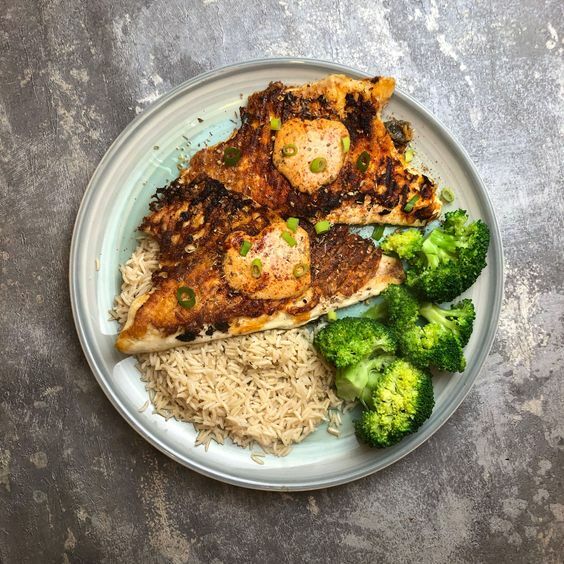 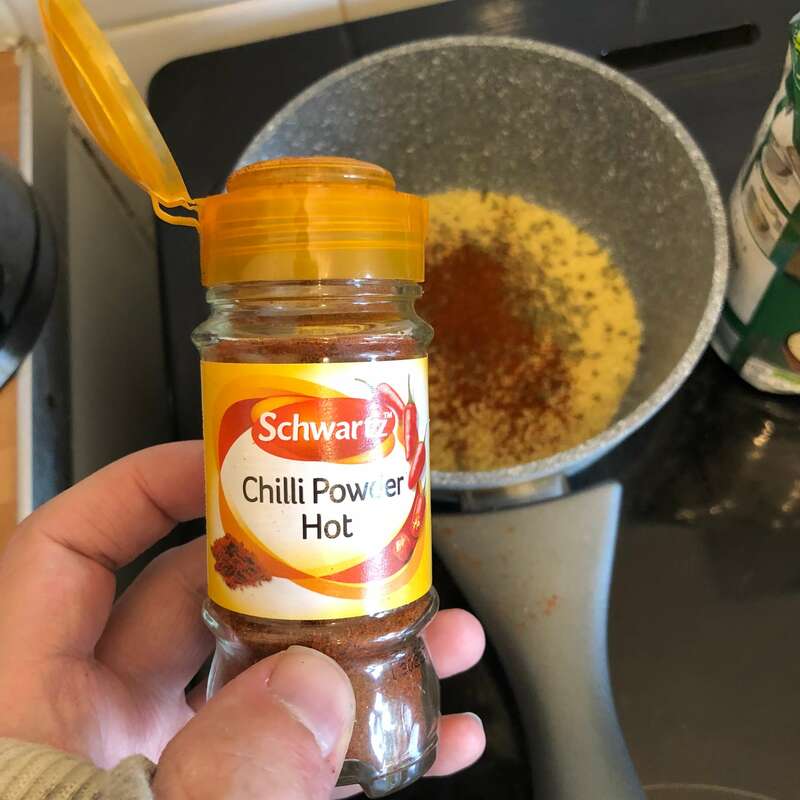 I’ve not posted for a few days, so it was very important to return with something mouth-watering tasty, and i’ve certainly achieved just that. 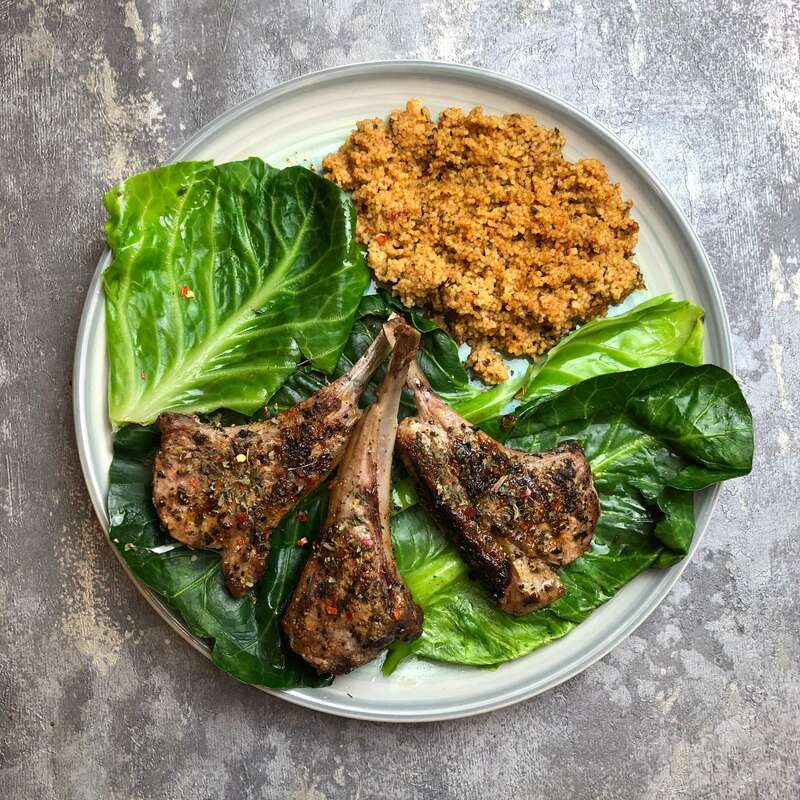 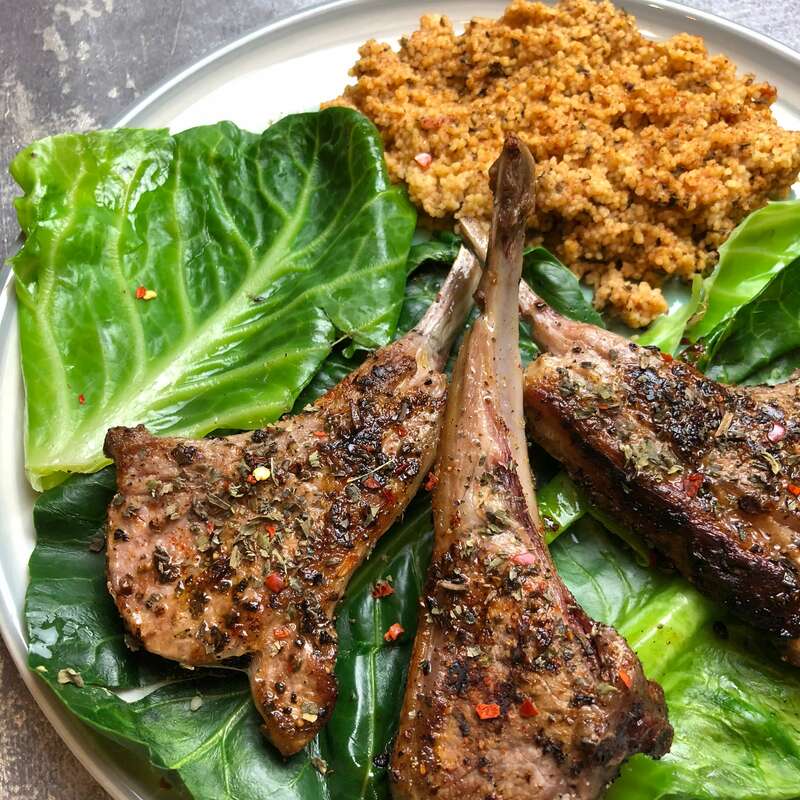 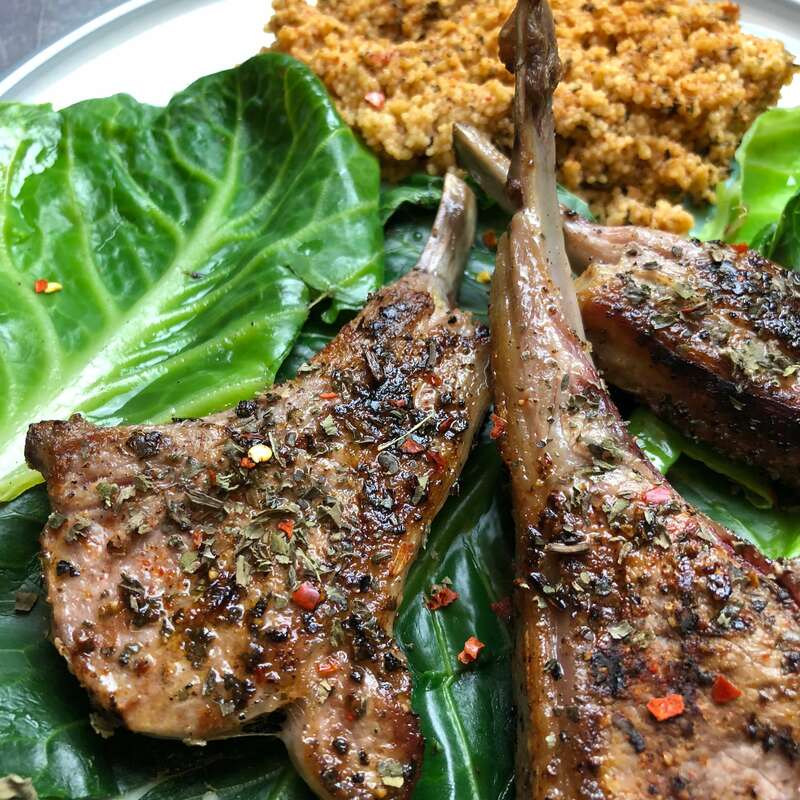 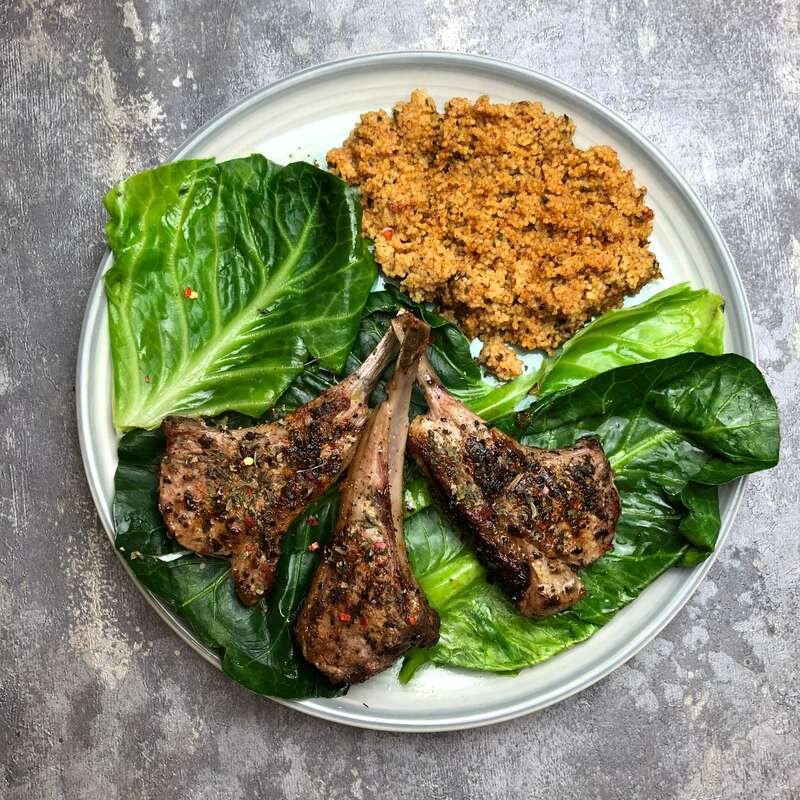 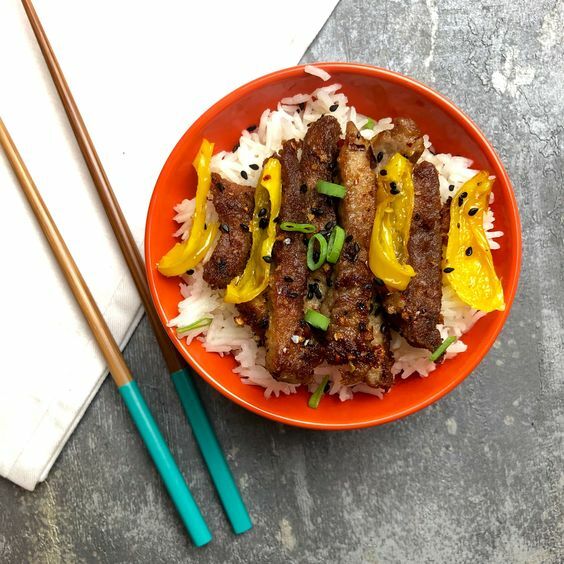 This recipe really does bring lamb cutlets to a whole new level and it’s so quick to make. 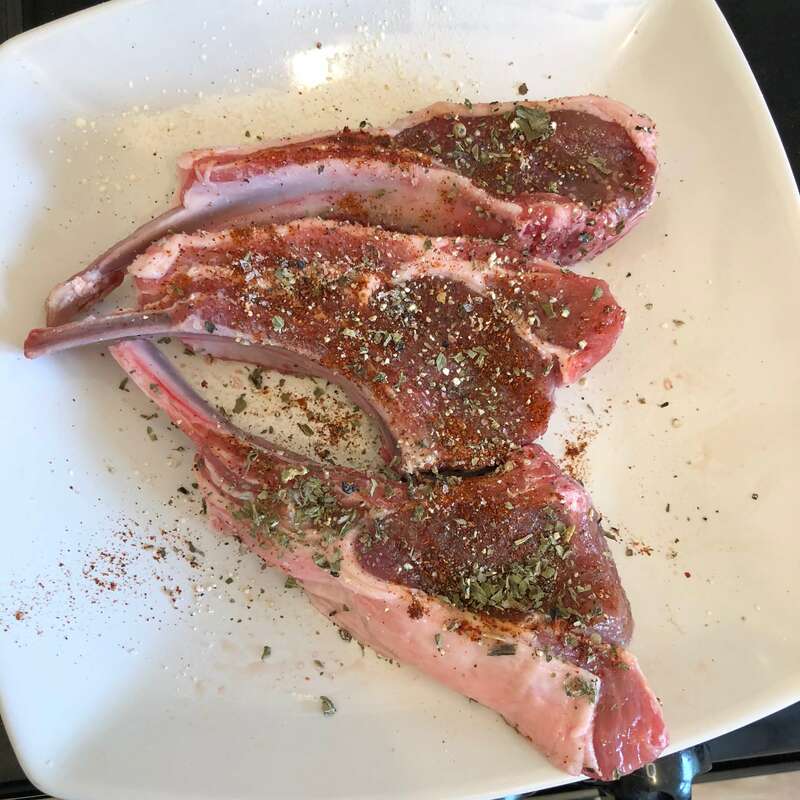 Before starting i’d recommend leaving your lamb out of the fridge until it’s at room temperature before cooking. 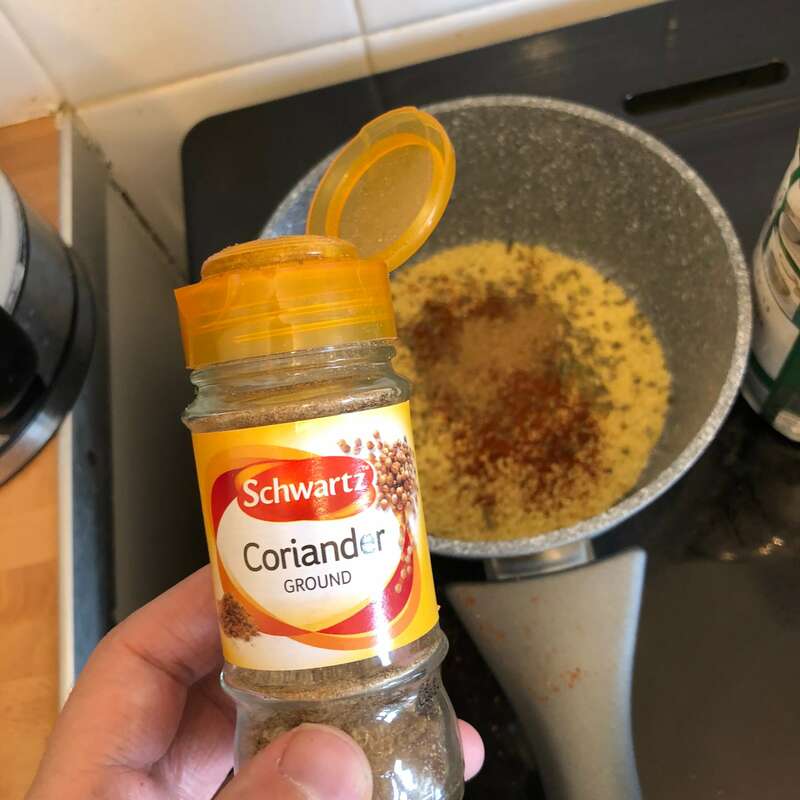 Great i’ve got those ingredients what do I need to do now? 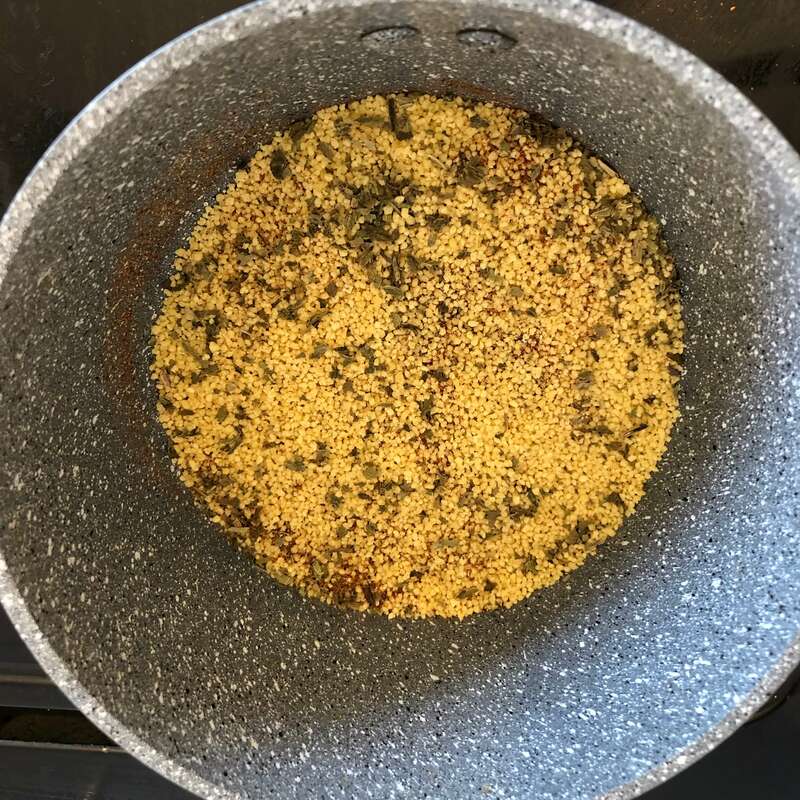 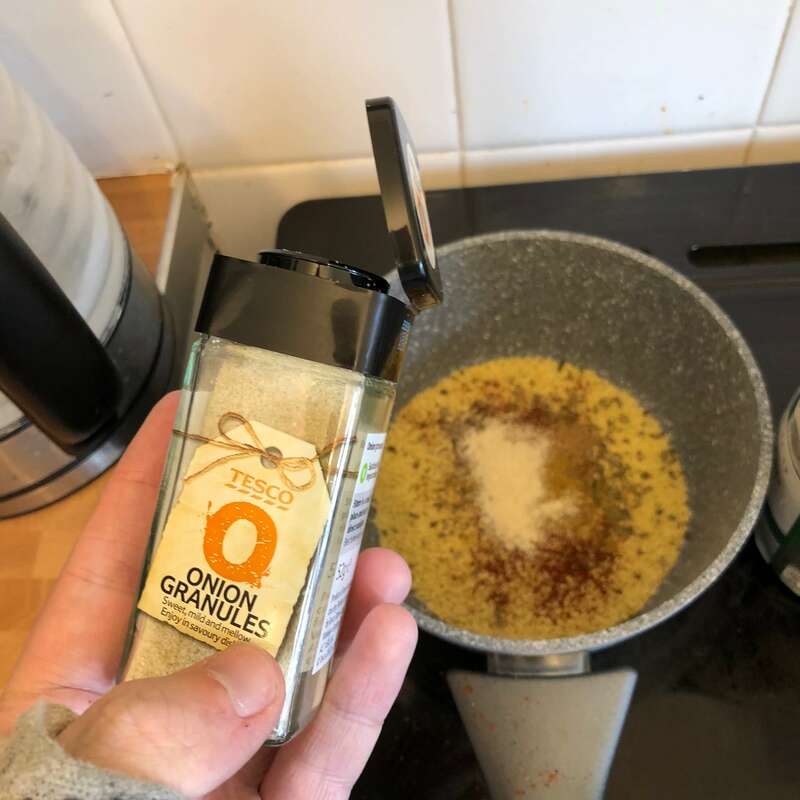 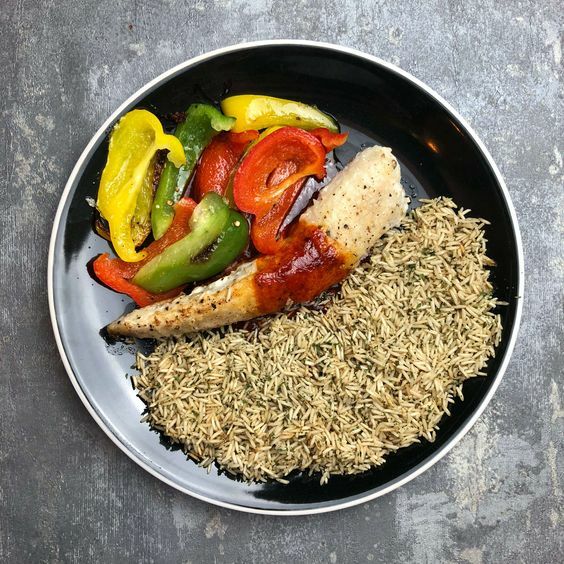 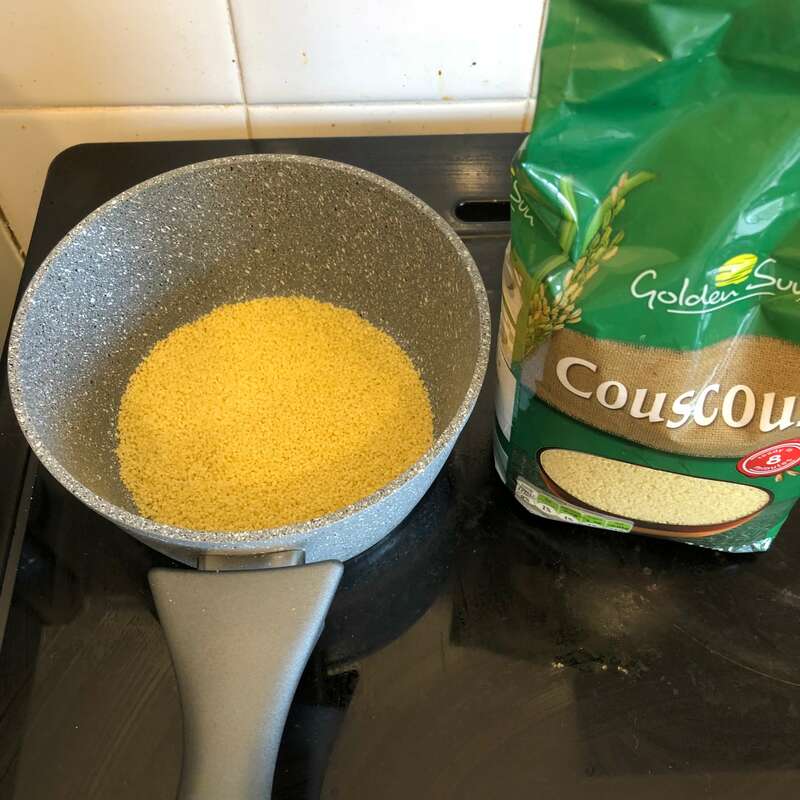 Firstly lets start with the couscous, add the couscous, 1/2 table spoon of mint, 1/2 table spoon of chilli powder, 1 tea spoon of onion powder, 1 tea spoon of ground cumin and 1 tea spoon of ground coriander. 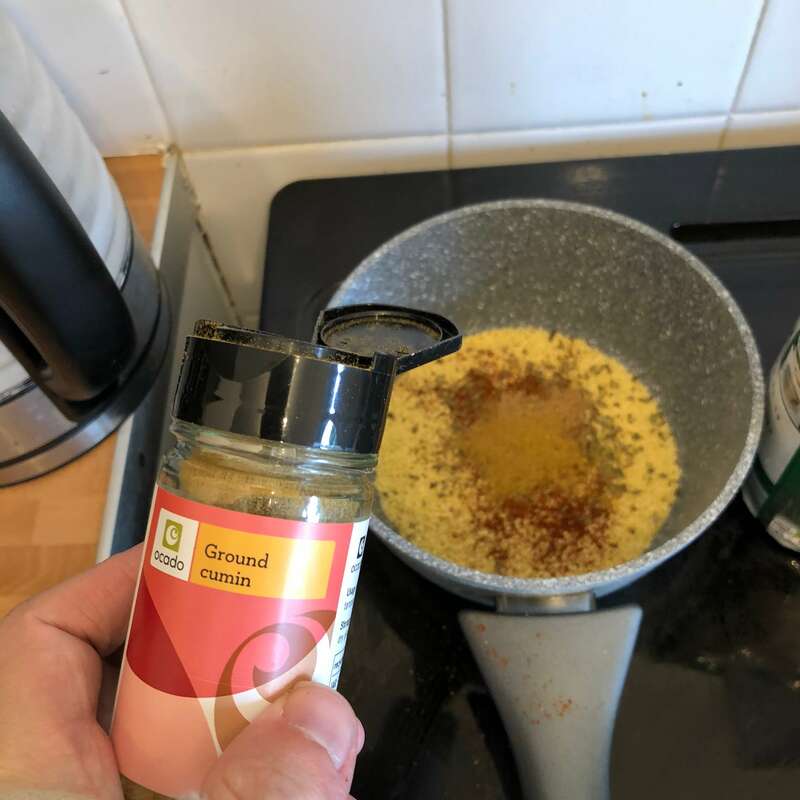 And then mix that all up before adding water and putting on a medium heat. 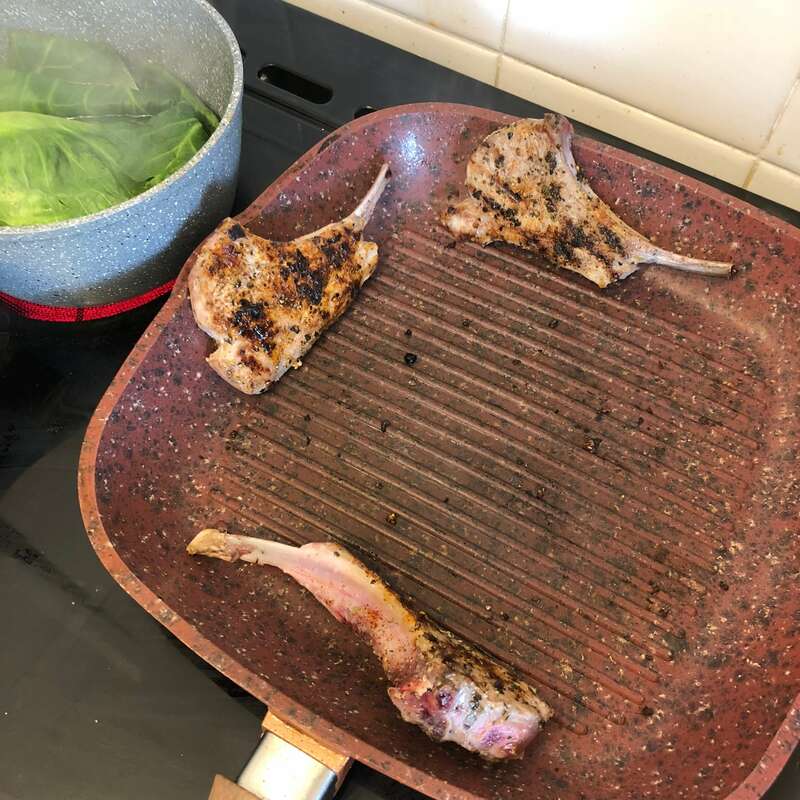 Now that that is starting to cook, lets sort out the lamb, firstly add your griddle to a high heat. 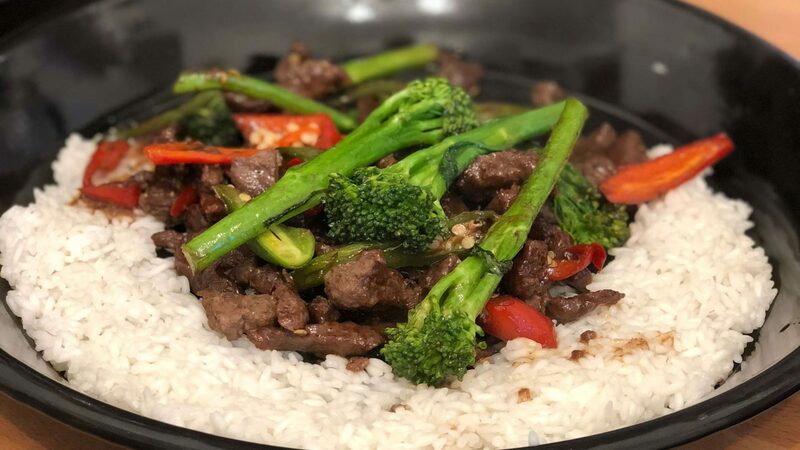 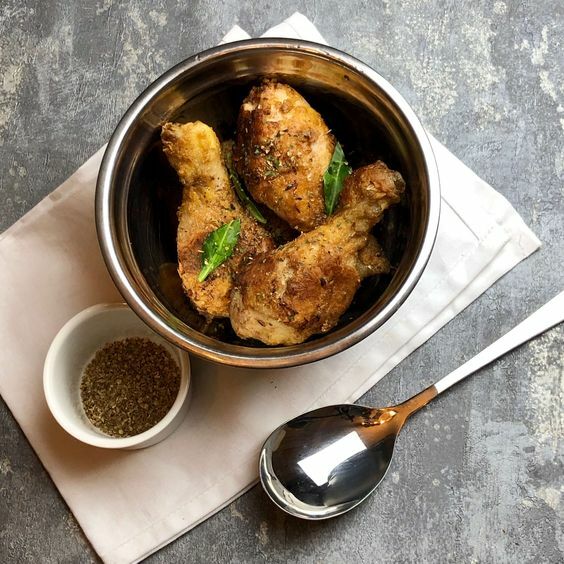 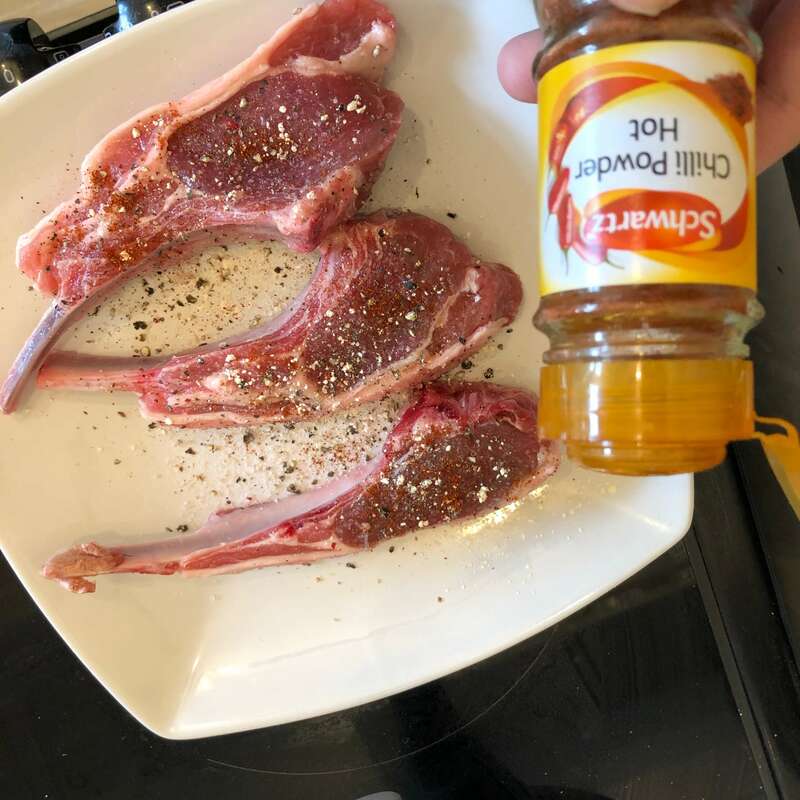 Then start by adding the salt and pepper, a tea spoon of garlic powder, 1/4 table spoon of chilli powder and 1/4 tea spoon of ground mint to the lamb. 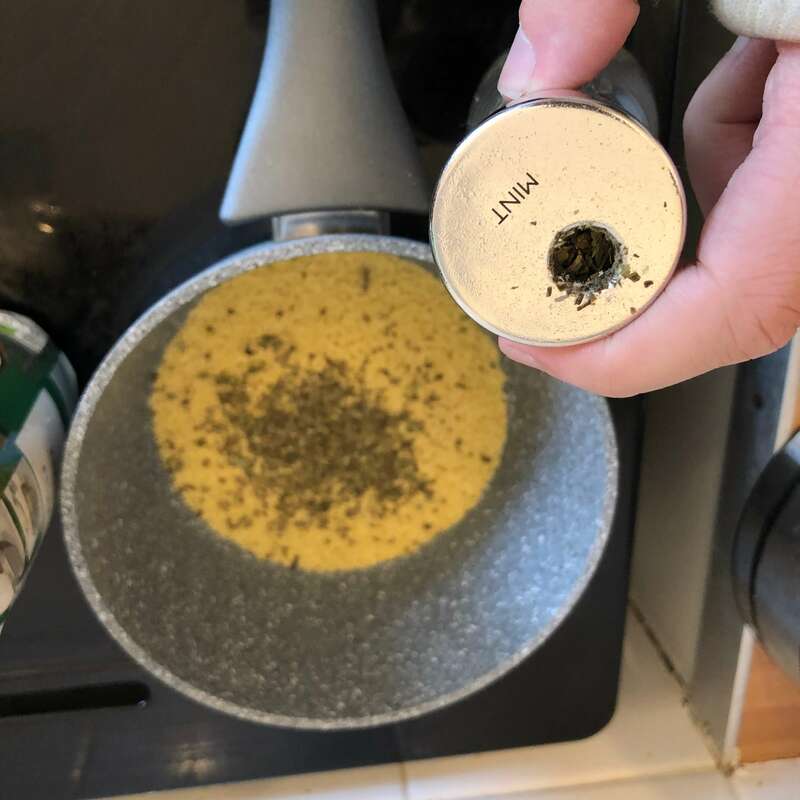 Then flip each around and do the same thing. 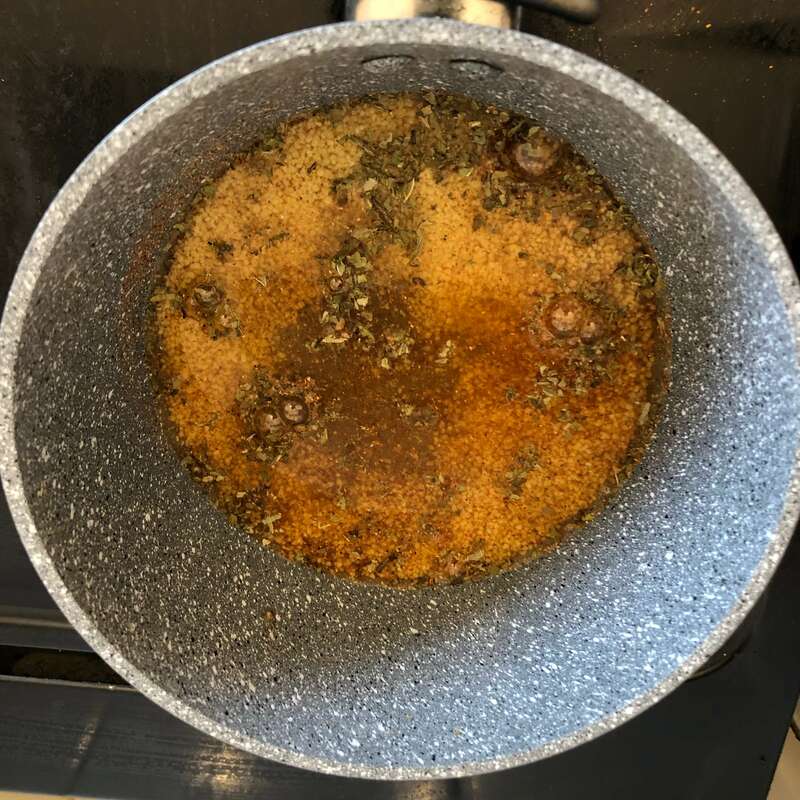 By the time you’ve done that the couscous should be nearly done as it really doesn’t take long, so strain that if there is any water left (there wasn’t with mine). 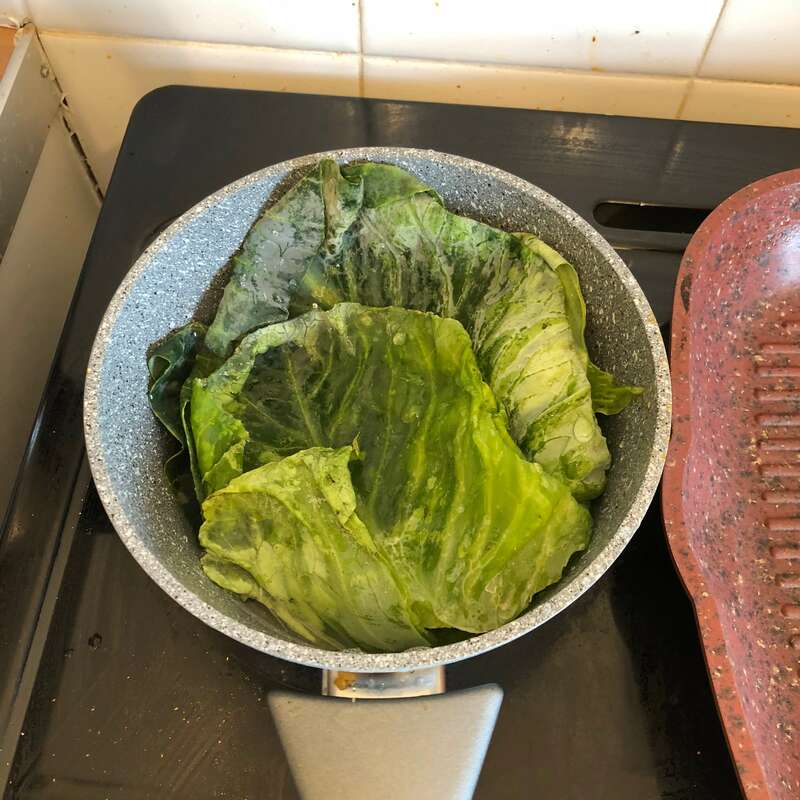 And plate it, next clean the pan or use a new pan and add the spring cabbage into some water and keep on a medium heat. 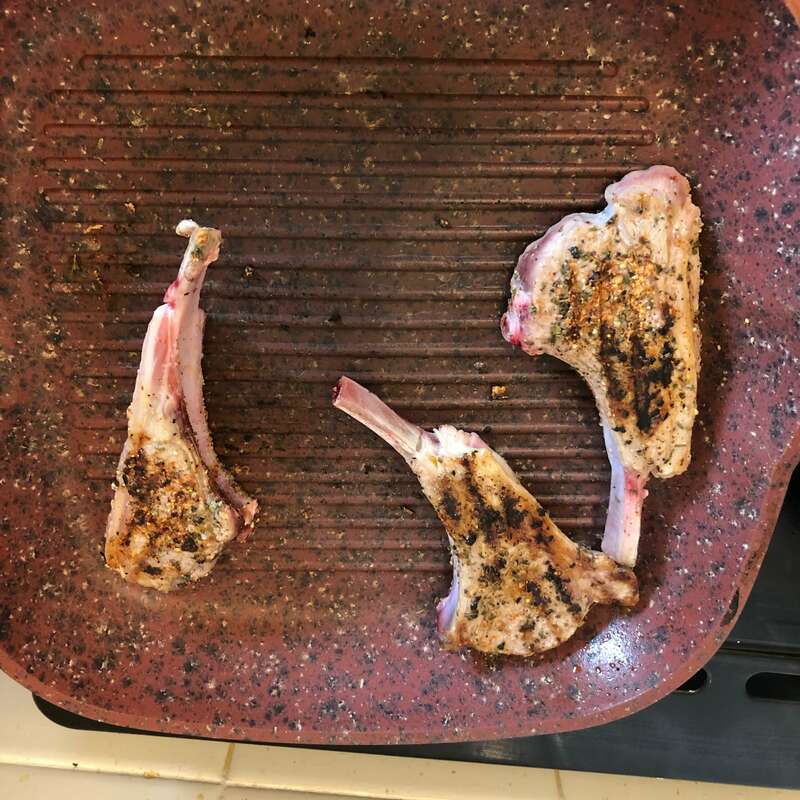 The griddle should now be hot enough so add each cutlet to the griddle, for perfect medium rare – i’d recommend 2 minutes on each side and 1 minute for the edges. 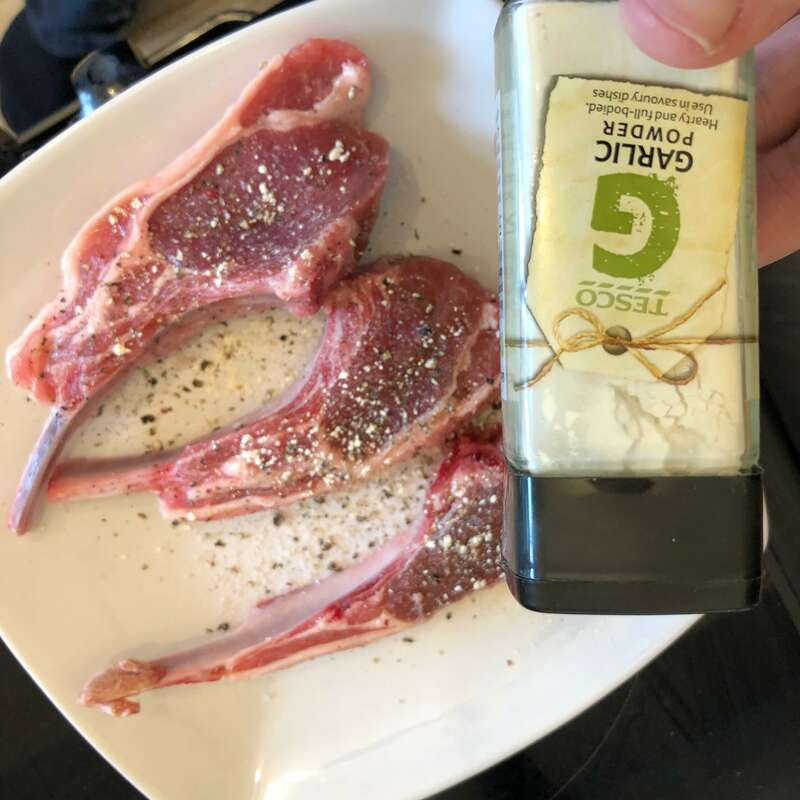 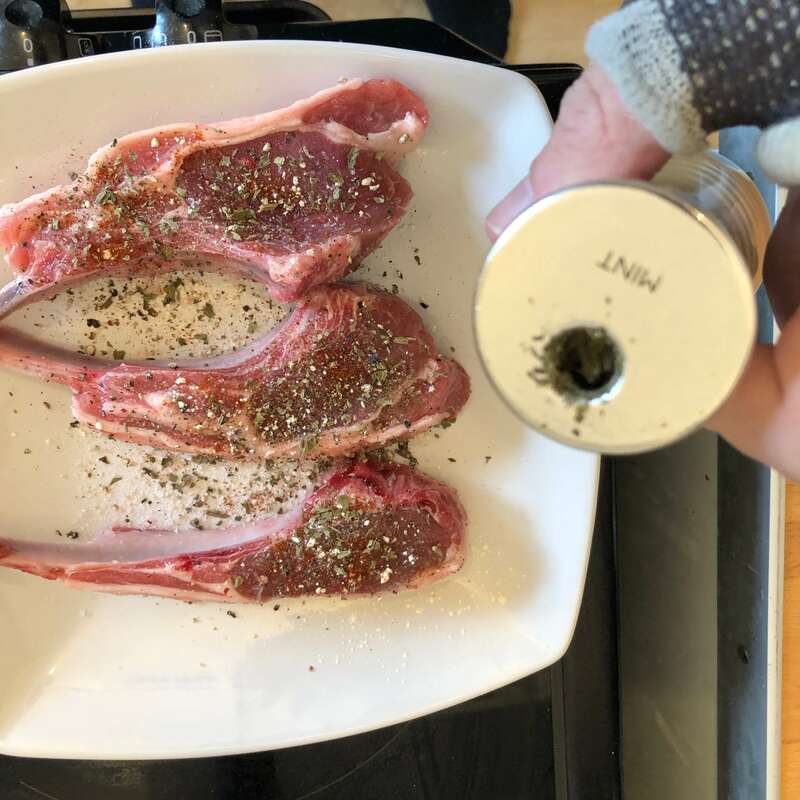 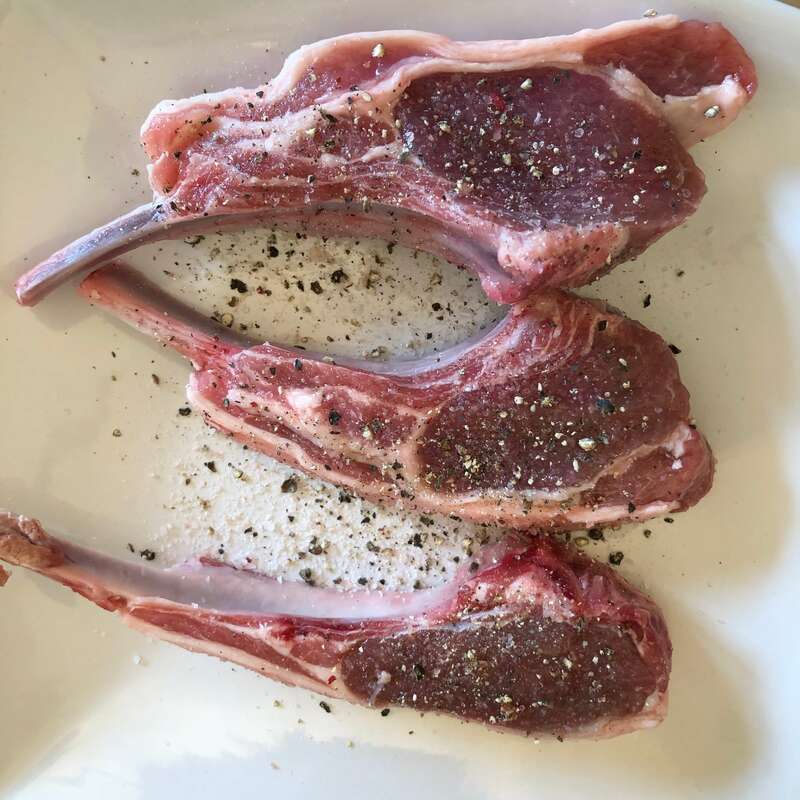 The great thing about lamb cutlets is their shape so you can cook the edges without having to hold them in place like you have to with steak. 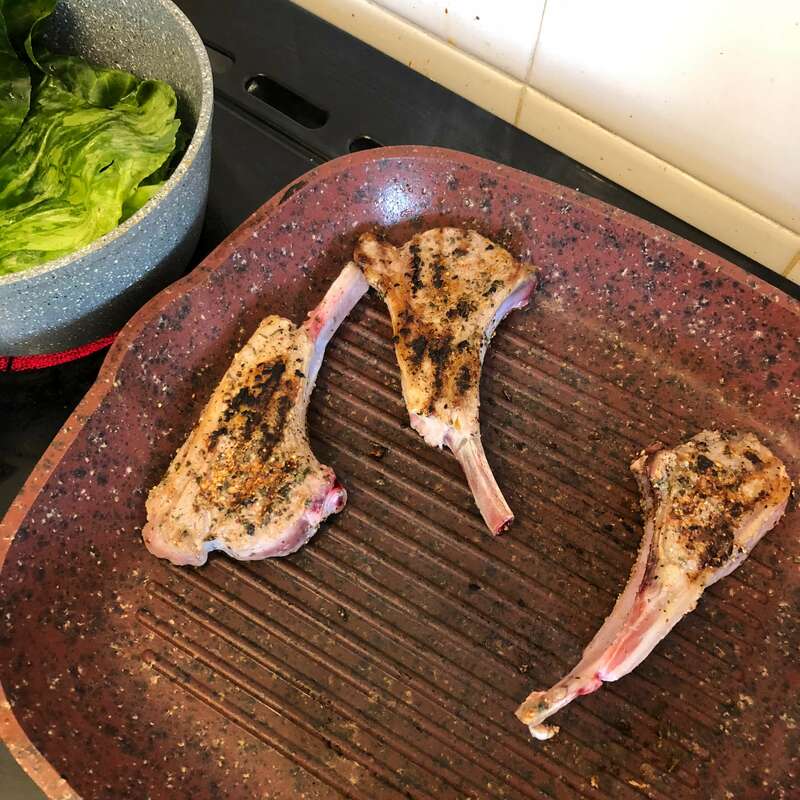 Once both sides and the edges are cooked your spring cabbage should also be ready, keep it cooking for a bit longer while you take your lamb off and leave them to rest for a couple of minutes. 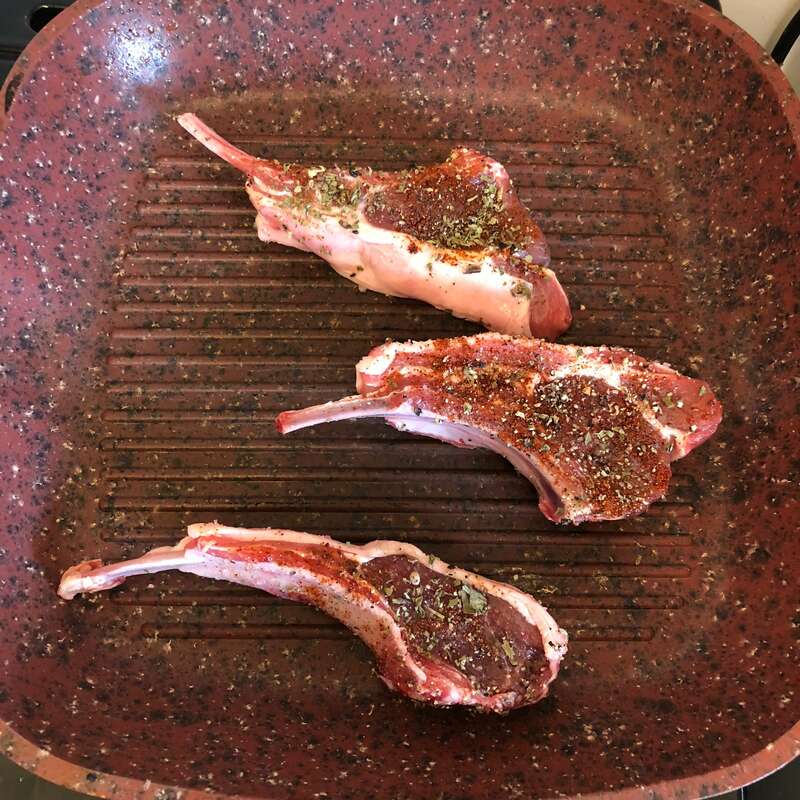 Then plate both and you’re ready to serve!